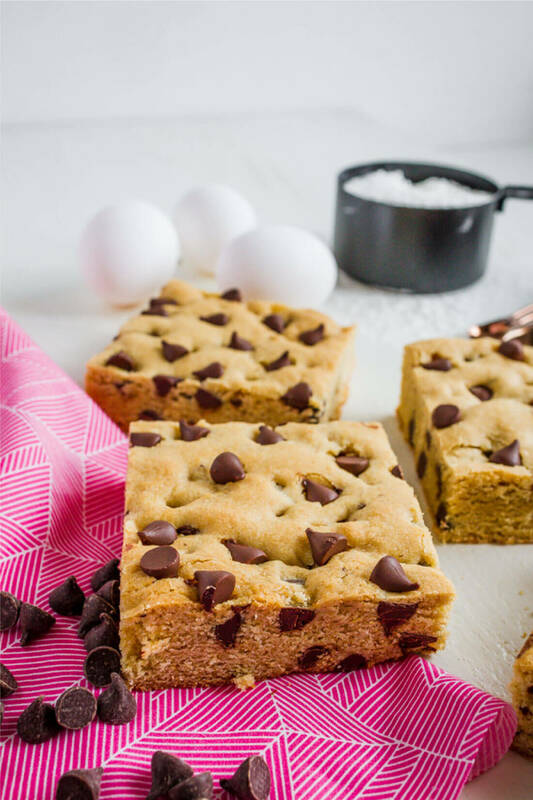 A little bit of a different take on chocolate chip cookies, make these Chocolate Chip Cookie Bars! Even though I don’t love chocolate (it’s true! ), I can’t resist a really good chocolate chip cookie. There’s not a ton of chocolate, just a touch. 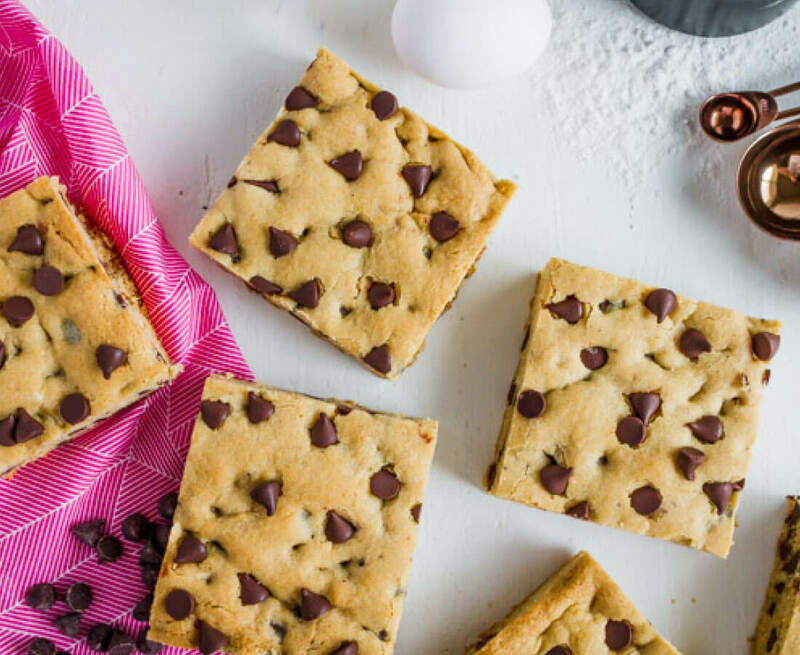 And these chocolate chip cookie bars are no different. They have a good base recipe and then chocolate chips sprinkled in. Yum! 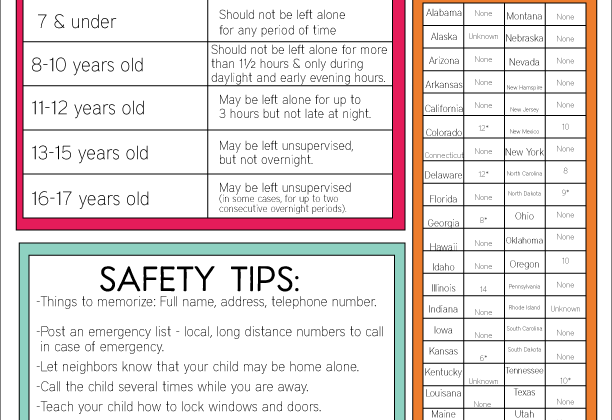 – Make sure that you have fresh eggs, flour and baking soda. This can all make a difference on texture and taste. – I prefer a mix of Ghirardelli chocolate chips – semi sweet and milk chocolate. They have a buttery taste and I’ve tried several others but these are the best! Give this recipe a try and let me know how you like it! 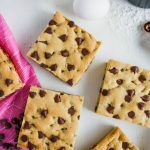 A little bit of a different take on chocolate chip cookies, make these Chocolate Chip Cookie Bars. 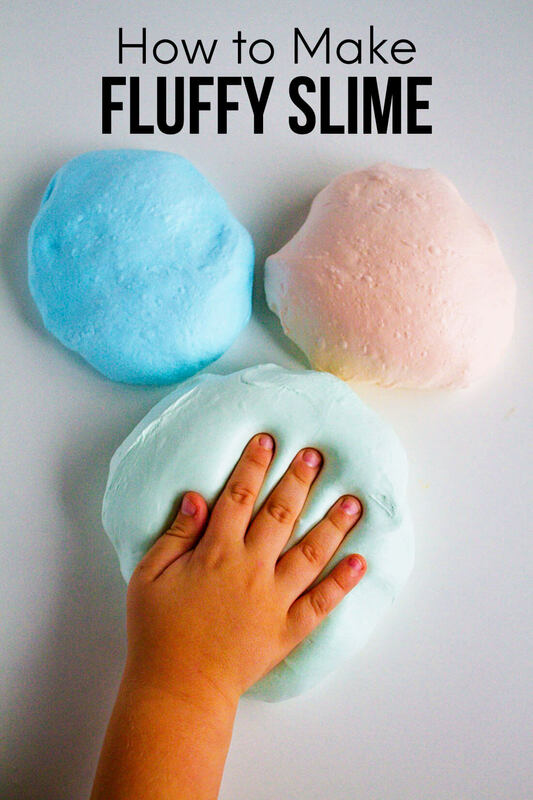 They are so good and easy to make! Combine brown sugar, oil, vanilla and eggs. Add baking powder, flour and salt. Add desired amount of chocolate chips. Pour into greased cookie sheet with walls (or jelly roll). 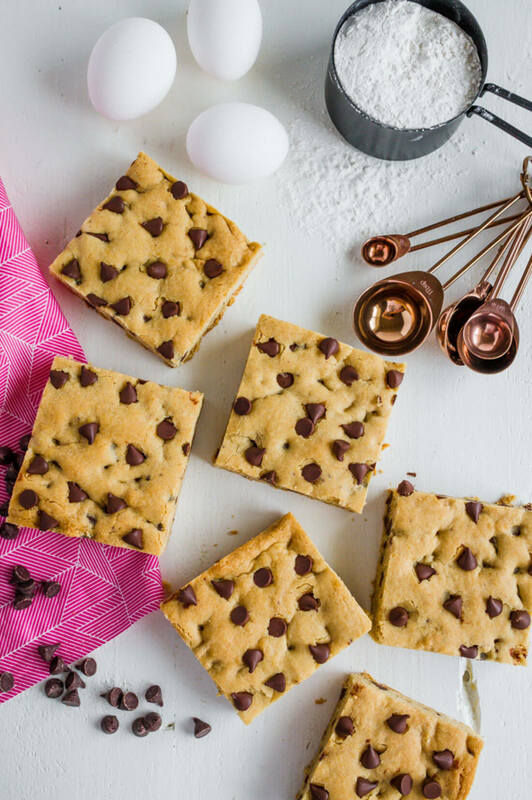 These cookie bar recipes are on my list to try out – they look so good!! Oh my gosh these look delicious!! !